This is a challenging trip that will take us far from the tourist trail, into the heart of the Mentawai Islands. 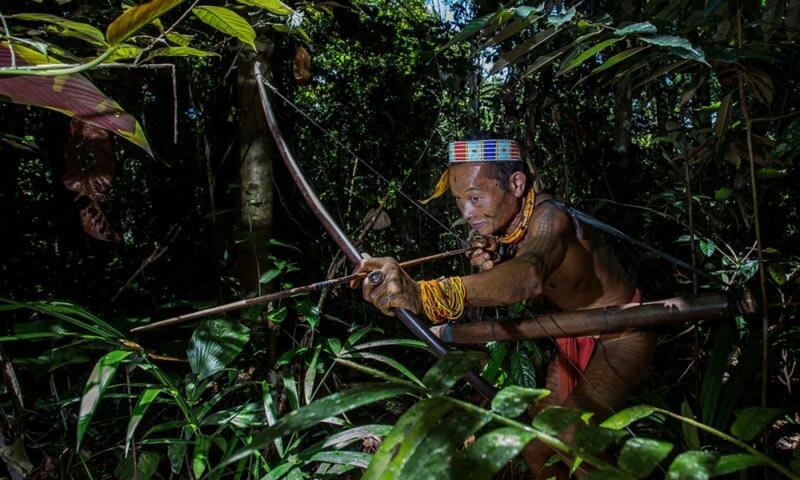 Deep within their jungles, the indigenous people live close to nature. The people in transition, these uncomplicated rainforest dwellers are struggling to maintain their traditional lifestyle against the paradoxes of modernization. This trip is only recommended if you are prepared to accept very basic and often uncomfortable conditions. We will stay as guests of the local Kerei (Medicine Man) in the Uma (the traditional family house). In here, where only basic facilities are available, you will gain a unique insight into the lives of these people who maintain the belief system based on living in total harmony with nature. The only specialist in the community is the medicine man whom they called “Sikerei”. He is responsible to communicate with the spirits and the souls. In case of misfortune or illness, he is called in to restore harmony within the group. The religious beliefs with respect to the environment is a dominant characteristic of traditional life on Siberut. Upon arrival in Padang, we will be transferred to your hotel. Rest and free programme afterwards. After breakfast, we will get ready to catch the fast boat to Muara Siberut which will depart at 7 am. It will take about 3-4 hours. Upon arrival at Muara Siberut, we will collect our luggage and all of our belongings while our guide makes a report to the local authorities about our arrival. Lunch will be prepared and served at the local house in the village. After that, we will walk about 10 minutes to the harbours to take a small motorized wooden boat to the Mentawai Island. The boat ride takes about 2-3 hours. Then we will need to walk to the Uma Mentawai Traditional House where we will stay overnight at. Along the trail, we will be passing by the muddy, slippery single logs, sago tree plantation and also the jungle. Reach the local house, the local team will set up our bedding for us to rest. Dinner will be prepared and served at the local house. 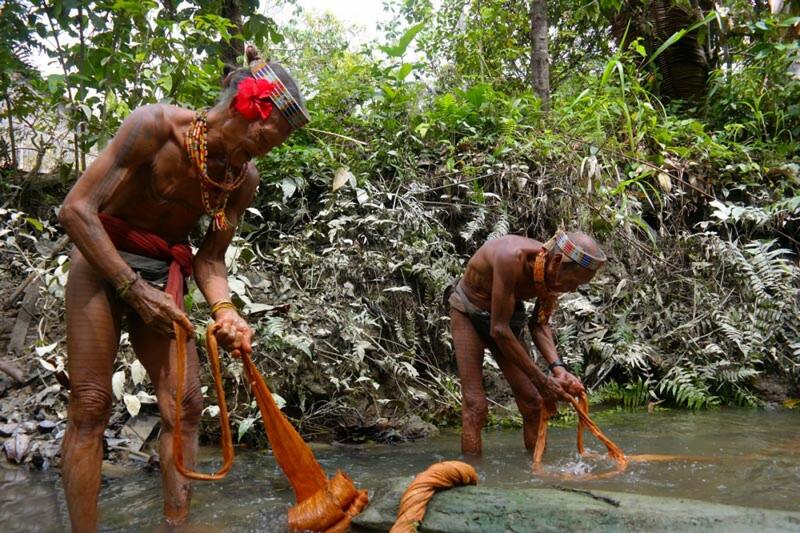 Today we will explore the daily activities of Mentawai Tribe, such as sago worm searching, making sago powder which is the main food of Mentawai Tribe, and also watch the making process of their traditional clothing. Today we will explore how the Mentawai Tribe makes their traditional tattoo, fishing, hunting, and also watch their traditional Mentawai dance. Today is our last day in Mentawai. 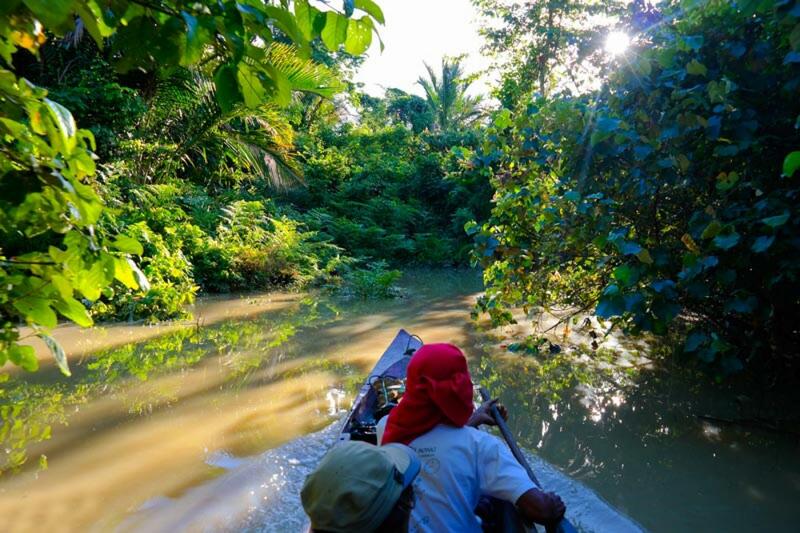 We will do short trekking and canoeing to other Mentawai Village. If we are lucky, we will meet more Mentawai Tribe in other villages. After lunch, get ready to pack our back as we will take the boat ride back to Muara Siberut and continue to Padang by fast boat at 3 pm. We will reach Padang at around 6 pm. Check in to the hotel in Padang. Dinner and rest. After breakfast, get ready to check out and drop off to the Minangkabau Airport.